To be able to view a group of drawings and small oils by an important artist who died so young is indeed a rare and special event. 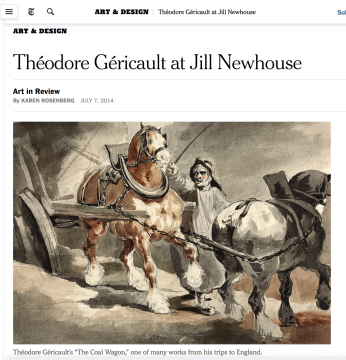 Jill Newhouse Gallery is pleased to continue its series of monographic exhibitions, begun in 1983, with this show of works by Théodore Géricault (1794-1824), the brilliant and tragic artist whose life and oeuvre has come to symbolize French Romanticism. Géricault drawings have not been exhibited in the United States since the Morgan Library show in 1985 and an exhibition of paintings held at the Metropolitan Museum in 1989. On view in this show will be 25 works from all periods of Géricaults brief career, beginning with an 1810 ink drawing of a seated male after a painting by his teacher Guerin (cat. 1), and continuing with precise graphite drawings inspired by classical motifs in preparation for large scale painted projects (cat. 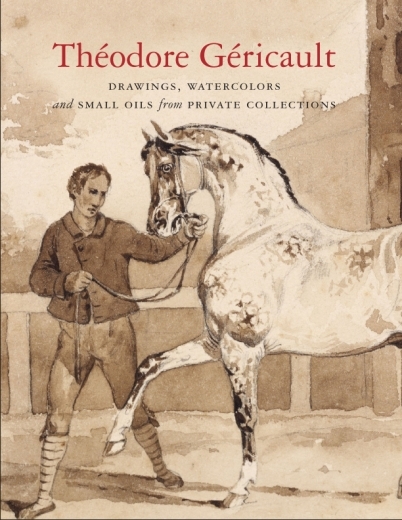 6,8); early wash drawings of horses from his trip to Italy in 1816-17 (cat. 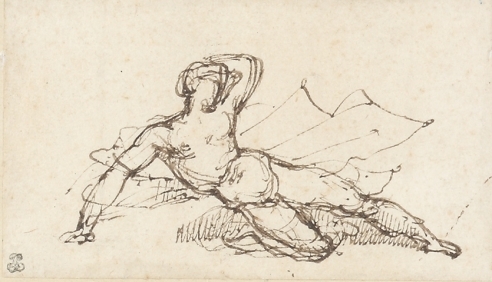 9,10); a study for the seminal painting 1818 The Raft of the Medusa (cat. 13); and several works in ink, pencil, and watercolor from the English period 1820-21 (cat. 17, 18, 21).